9" A/O Sanding Disc, 180 Grit PSA, 2 pk. Woodstock - 9" A/O Sanding Disc, 180 Grit PSA, 2 pk. 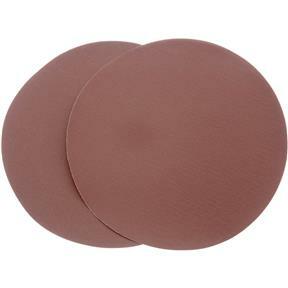 These 9" diameter 180 grit aluminum oxide sanding discs are sized to fit most common disc sanders and are sold in a 2 pk. 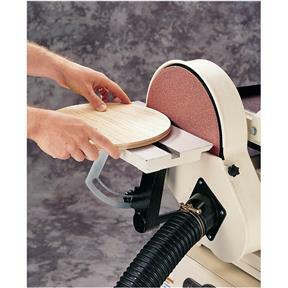 These sanding discs are pre-applied with top-quality pressure sensitive adhesive. The thing I can ask is that the whole order comes! I believe it will be as God as all my other products that I have purchased in the pass. This item is for a March 2nd birthday party. Has not been opened. Box was damaged when delivered. This is the last addition too my shop. It is wonderful for sanding the small and medium boxes I make. The only change I would make is to make both vacuum hose attachments the same size which would make changing from belt to disc easier. Overall I like the machine.